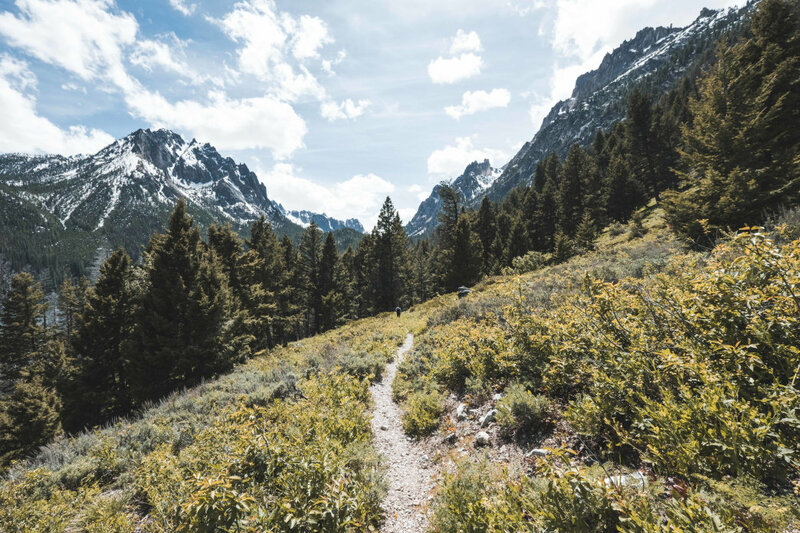 Stanley, Idaho, is an outdoor playground where families have unlimited options for local entertainment and outdoor exploration. Flexible trip options make it easy to bring young children along. Teenagers will love the open space and room to play while young adults can push their limits on hard trails, steep slopes, and intense whitewater. The area has a rare combination of big water and big mountains with the Salmon River and Sawtooth Range immediately accessible. Simply showing up to town and walking around will create lasting family memories. If you really want a trip to remember, get outside and take advantage of the intimate town and rugged outdoors. Mingle with the locals, join the friendly community and soak up everything Stanley has to offer. The small community of Stanley is largely composed of ranches and open space. Lodging options vary with something to suit just about any family situation and season. Guest ranches are ideal for an inclusive and rustic experience where you can ride horses and explore without making outside arrangements. 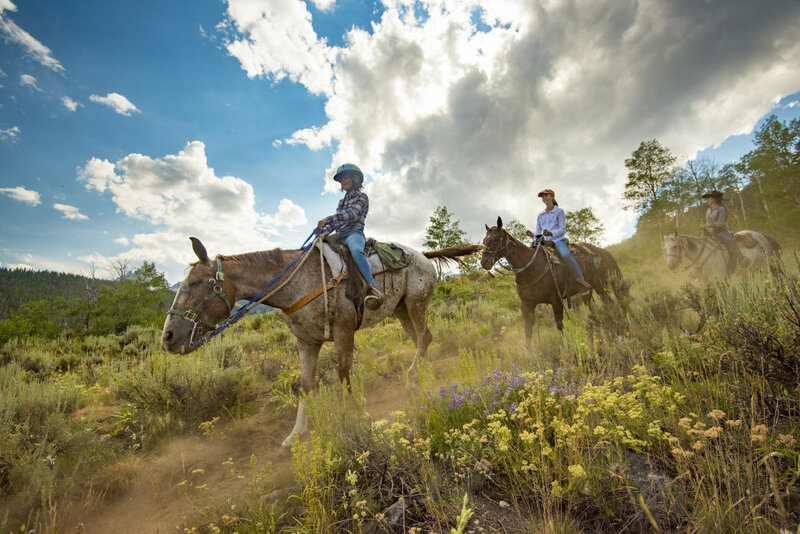 Families with young children benefit from the guest ranch experience because they can easily transition between activities, meals, and their cabin or room. Simple motel options, cabin rentals, and lodges on water or mountain locations are also available. Stay on the water during the summer and opt for a cozy lodge during the winter. It really does not matter where you stay in terms of scenery as the entire area is surrounded by big views. Stanley’s hiking trails range from short and easy to vertical and extreme. Choose a hike based on your abilities and those of your group as a whole. An easy hike like the Redfish Lake Trailhead will lead you up Fishhook Creek with wildlife viewing opportunities and wonderful scenery. The trek is not overly intensive and is ideal for young kids. The Sawtooth Lake Trail is a moderately difficult hike that will take visitors to this picturesque alpine lake. Another moderate option is to hike to Alice Lake, which is part of the Tin Cup Hiker’s Loop that connects it to Toxaway Lake over the Snowyside Pass. Along the way, you’ll be surrounded by a set of spectacular peaks known as the "Dragon’s Back." There are waterfalls and creek crossings along the way as well. Adventurous hikers can make this a 2-3 day backpacking trip, or you can take on sections of the trail as day hikes. Take a day trip or ride horses deep into the wilderness for an overnight camp trip. Horses are perfect for family trips so long as the kids are old enough to ride. Several ranches and outfitters are permitted to operate in the region with trails that literally branch off from the town. The Frank Church Wilderness of No Return is the largest wilderness area in the lower 48 states and borders Stanley. Mount a horse and go explore this massive, wild area. Consult with an outfitter to determine the best option for your family. Half day, full day and multi-day rides are available. The upper Salmon River cuts right through Stanley. Amazingly, ocean run steelhead and salmon migrate and spawn in the river system. Good fishing for cutthroat trout is also an option. 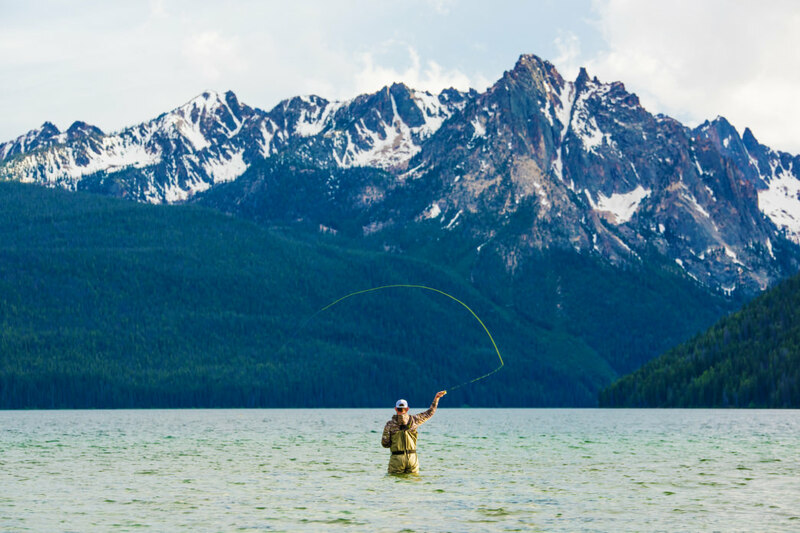 Fly fishing is popular among the locals and you can DIY or take a lesson and guided fishing trip with local outfitters. Anglers fish from the banks or from a raft with a dedicated rower. Summer also offers the perfect range of family rafting trips with float options ranging from flat to class IV whitewater. The more intensive whitewater happens early in the summer when snowmelt creates runoff and high flows. May and June are prime months for high water and fast-paced rafting. The mid-summer is great for younger kids and mellow family floats. Commercial rafting operations make these trips a breeze to organize and a single raft typically holds up to 6 individuals. The local lakes are also a major attraction, as the glacial influence of the region created deep, cold water lakes surrounded by steep mountains. Spend the day swimming, fishing and splashing around a local watering hole. Redfish Lake is accessible by vehicle, and it has lodging options and trailheads that branch off the lake. The Redfish Lake Marina offers boat rentals (both motorized and non-motorized), and you’ll find white-sand beaches where children will enjoy playing in the shallow water. You can also hop on a boat for a scenic lake tour or take a shuttle to the south end of the lake to access additional hiking opportunities—take a ride back rather than have to plan round-trip routes. Sawtooth Lake is accessible via a moderate 5-mile hike from the Iron Creek Trailhead. It takes some effort to get there, but you’ll be rewarded with the views of this beautiful lake that was carved out the stone by ice. Another option is hiking to the chain of five Bench Lakes. Start at the Fishhook Creek Trailhead near Redfish Lake and follow the left fork toward Bench Lakes. 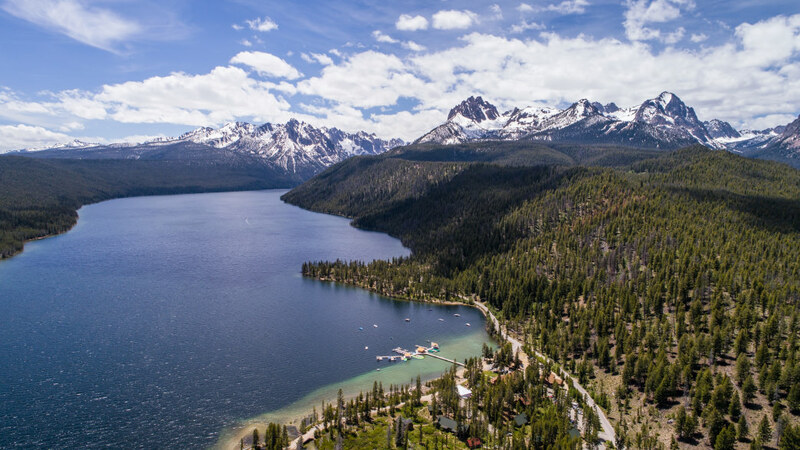 You’ll enjoy spectacular views of Redfish Lake below as well as Grand Mogul and Mt. Heyburn. The great outdoors draws visitors to Stanley but the charming town and rich history keep them coming back. Hit the town for a burger and cold beverage after a long day of exploring. Guides, guests, and cowboys all mix at the local restaurants and saloons in the evenings. 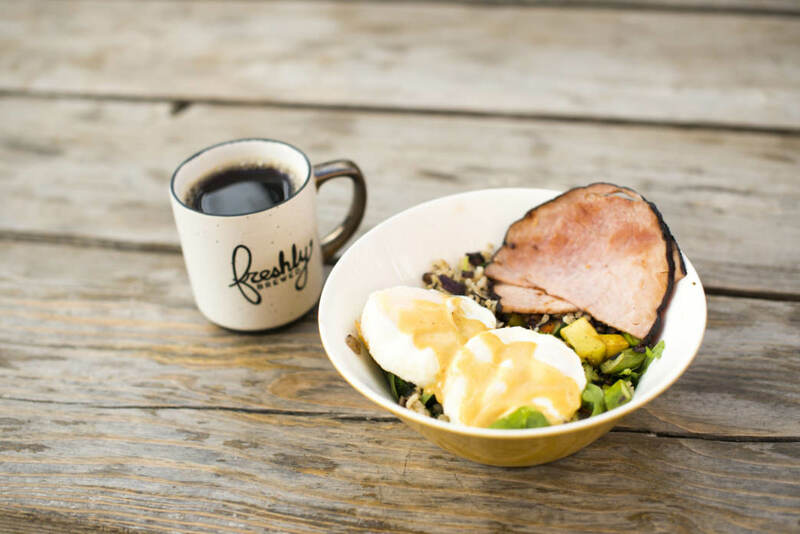 Several restaurants and cafes serve up excellent meals in casual dining settings. Retail shops have gear, licenses, and supplies for the outdoors along with free advice about the region. If the weather turns sour or you just want a day to relax, visit one of the area spas for a peaceful retreat. Summer and winter seasons both offer community events, festivals and live music in town. The Sawtooth Mountain Mamas Arts and Crafts Fair is held the third weekend in July, while the annual Winterfest makes the most of the snowy conditions. And don’t forget the 4th of July fireworks. Anyone who’s been to Stanley will be able to tell you about another of its signature attractions—an unforgettable night sky. In fact, Stanley is in the Central Idaho Dark Sky Reserve, one of only 11 such reserves in the world that are designated and protected for stargazing. Central Idaho’s rugged terrain prevents development—and the light pollution that goes with it—giving visitors a practically unobstructed view of the Milky Way and beyond. In June, the Stanley-Sawtooth Chamber of Commerce will team up with the Boise Astronomical Society for the Dark Sky Reserve Celebration, which features a nighttime viewing party at Pioneer Park. But anytime you visit Stanley, just look up after dark to experience something truly special. 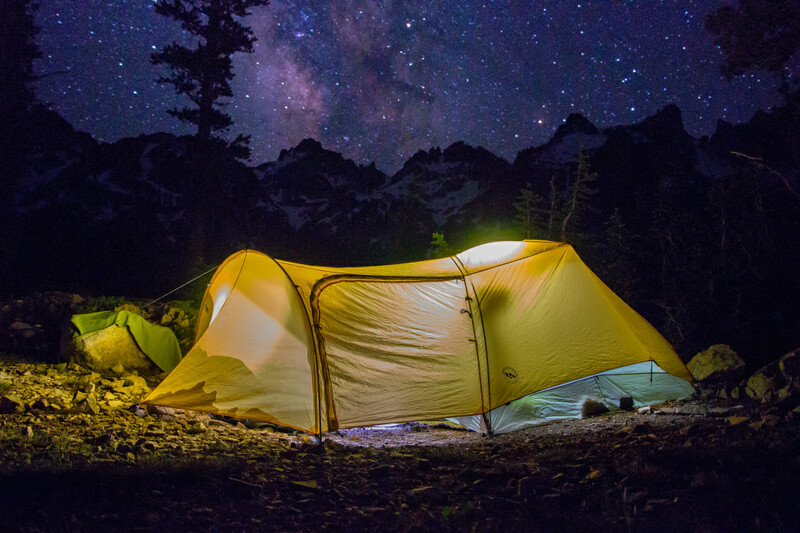 Getting to see the stars, unplugging, and exploring the Idaho wilderness is what a family vacation to Stanley is all about. Take advantage of all there is to see and do in this scenic region to create an unforgettable getaway. Written by Zach Lazzari for RootsRated Media in partnership with Stanley Sawtooth CoC.